Insider tips and recommendations from fellow history lovers as well as current and former employees and volunteers. Colonial Williamsburg offers one of the most authentic American history experience you can get. Go to the Colonial Williamsburg website to get up to date information about purchasing tickets online, events, sales, and special offers. Download the Colonial Williamsburg Explorer App to help you customize your trip according to your interests. Included in the app are existing trip itineraries that you can use for inspiration. To see all that the area has to offer, you’ll want to split your visit up into two days. This allows you to thoroughly immerse yourself in the history and stories of Williamsburg without rushing through. It can be scorching hot in the summer, and the rain can fall by the bucket. So check the forecast and bring sunscreen, an umbrella, and whatever else you might need. You can always pick up a straw hat or cocked hat in one of the shops. Apply sunscreen and stay hydrated on a hot day. Colonial Williamsburg is great to visit any time of the year. Off season is between January and March. While there are fewer crowds, several buildings and taverns are closed for maintenance and living history and several entertainment programs are more limited. When visiting during off season, all staff that is working has a lot of time to spend with visitors and answer questions. There’s no wait to get tours and into attractions. The busiest time is during summer when schools are on break and around Christmas. You can walk around the whole town at no cost. Unfortunately, if you don't pay the admission, all you cannot have access to the buildings with flags in front of them and other important history displays. You can purchase a Sampler Ticket. These are wonderful for history lovers who only have a few hours to visit or if you're on a budget. The sampler ticket grants you access to a combination of four of the trade shops, city sites, or family homes and gardens. 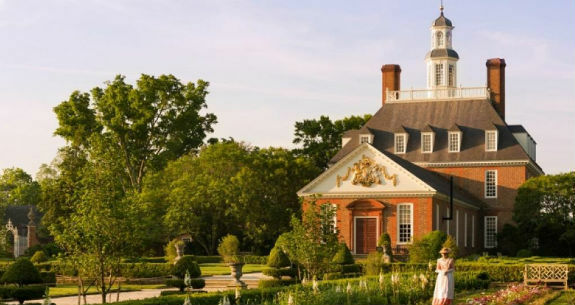 You can also explore Colonial Williamsburg's interest-based itineraries to start planning your adventure. Some history lovers highly recommend any of the "Behind the Scenes" tours at Bruton Heights. Start your visit at the Visitor Center to purchase tickets, redeem online tickets, to find information on current activities and events, and to pick up a free copy of the "Colonial Williamsburg Map & Program Guide" and "Today's Programs." The Visitor Center will help orient you for your experience in the Revolutionary City as well as give you a glimpse into all that Williamsburg has to offer. Don’t miss out on the opportunity to have a conversation with an interpreter. You can ask them any question you may have about the time period, their life, or the city. These interpreters have extensive knowledge of life in Colonial Williamsburg and about the particular individual they represent. Thanksgiving is a nice time to have a celebratory meal in one of the Taverns - either at The Kings Arms, Christiana Campbells or Chownings Taverns. You need to make your reservations early, some people book them a year in advance. If traveling with kids, you might want to try the Family Fun Trek itinerary. Activities include a children's tour of the palace, a kid friendly ghost walk tour and other hands-on activities that immerse children in 18th century life. Do the children's dress-up and tour/scavenger hunt with them. Do you have tips and recommendations to add? What else should a history lover visit when they are in the area? Please add them in the comments below. Colonial Williamsburg is a living-history museum depicting life in the 18th century featuring exhibits of dozens of restored or re-created buildings related to its colonial and American Revolutionary War history. It is the world's largest living history museum, boasting over forty sites and trades, four historic taverns, and two world-class art museums.